The Pyrenees Mountains form the natural boarder between France and Spain and while they aren’t necessarily an ‘undiscovered’ part of Europe, they’re not the first place you might consider for a holiday. This gives the Pyrenees something of an advantage for those who do visit; access to a relatively unspoilt wonderland that offers an abundance of activities all year round. For the truly adventurous it’s worth looking at the Cave Diving and Paragliding excursions. And if you just fancy getting away from it all, a day hiking in the mountains will take you through flower-filled meadows, gorgeous villages and mountain lakes. If you like the snow and want to ski in the Pyrenees, there are plenty of resorts with hundreds of kilometres of pistes for skiers and snowboarders. The great advantage of booking ski chalets in the Pyrenees is that it’s not as crowded as The Alps. 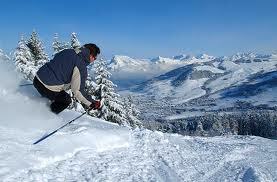 Le Turounet resort also offers catered ski chalets if you want to get on with skiing. If you want to see the Pyrenees as it should be seen, then consider a walking holiday along with the Gran Ricardo (GR) 11. The GR 11 is a network of old shepherd paths running for 837km from the Mediterranean town of Cabo de Creus to Cabo Higuer on the Atlantic coast. The route is broken up in to several sections and many people like to complete one section per visit, rather than the entire stretch in one go. It’s possible to do it and most people finish it in around 50 days, but it’s worth getting in to shape before attempting either the GR 11, or the GR 10, across the border. Each day will throw at least one tough ascent at you and given that shelter is usually three or four days apart, you’ll be carrying the majority of your provisions with you. But what a wonderful adventure; paths will take you through Beech forests, across snow capped peaks and each days reward is beautiful mountain view. On the other side of the border is the GR10, the French equivalent. Longer by about 20kms, the GR 10 has a much more generous spread of hotels along its path. The best time of year for a walking holiday along with the 10, or 11 is spring or late autumn. Summer is hot, which can be detrimental to some, while during the winter the vast majority of paths are impassable due to snow. Hikers will also have the altitude to deal with. Marie-Paule Graham writes for Chalet Finder visit the website to find the perfect ski chalet or hotel for your desired destination.